Cabin Odor A strong Odor - slightly annoying. I was two decks down from the pool deck but on one night I had the smell of charcoal from the grills in my room. Your Comments & Observations (OPTIONAL QUESTION) I was traveling alone and had the two twin bed made into a king bed. This is a mistake for an inside room. The room had very little floor space after I did this. If my wife was with me I would have had to crawl over her or down to the bottom of the bed to get out of it. The room works with the beds pushed against the wall. I prefer a balcony room but the price for this inside was $239 for a seven day trip and would book an inside again. Is cabin 10607 in a noisy part of the ship – under/above a kitchen, disco, high traffic area? What else should you know about cabin 10607 before you book? 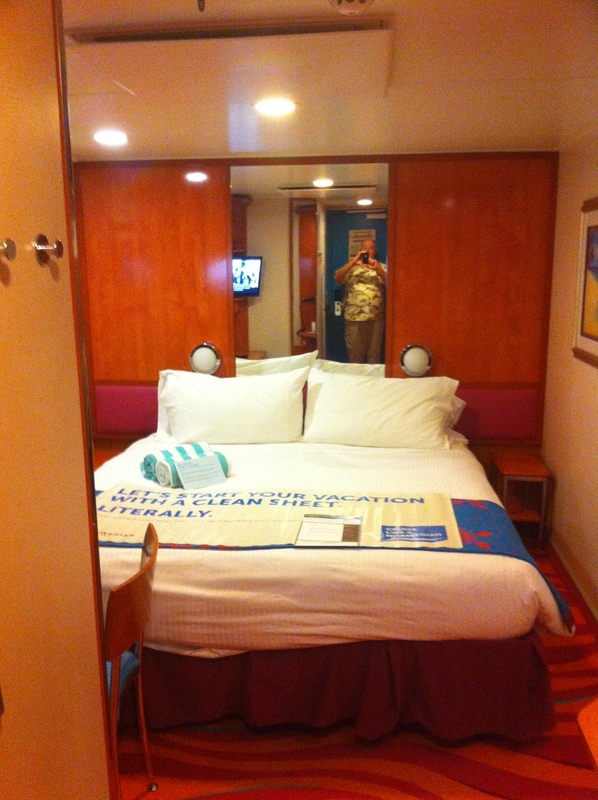 Get a free analysis of Norwegian Jewel cabin 10607.